Saba?ai-di?i! Do you want to study Lao to impress your friends and relatives or want to teach your children Lao? Join our online Lao language classes through Skype and learn from our experienced native tutors. Lao, also referred to as Laotian, is a Tai-Kadai language and is the official language of Laos. Laos is a multilingual country with numerous ethic communities using different languages. Thus Lao serves as a second common language of communication and is the official dialect of Lao. Within the Lao language itself there are six main dialects: Vientiane Lao, Northern Lao, North-eastern Lao, Central Lao, Southern Lao and Western Lao. This language has five major tongues. Of these six, Vientiane Lao is the most comprehended dialect in the whole country and the Lao vocabulary is founded on it. Lao language is very similar to Thai language. The languages share many common words and most of the basic vocabulary too is similar to extent. The Lao script is a syllabic alphabet or abugida and dates back the 16th century BC. An origin of Lao script is not very clear. Also the script shares similarities with the Thai script. Most of the basic words of Lao have only one syllable. This is a concise dialect. The structure of the sentences is also very easy and the Lao alphabet is phonetic. Also it is a tonal language with a total of six tones. 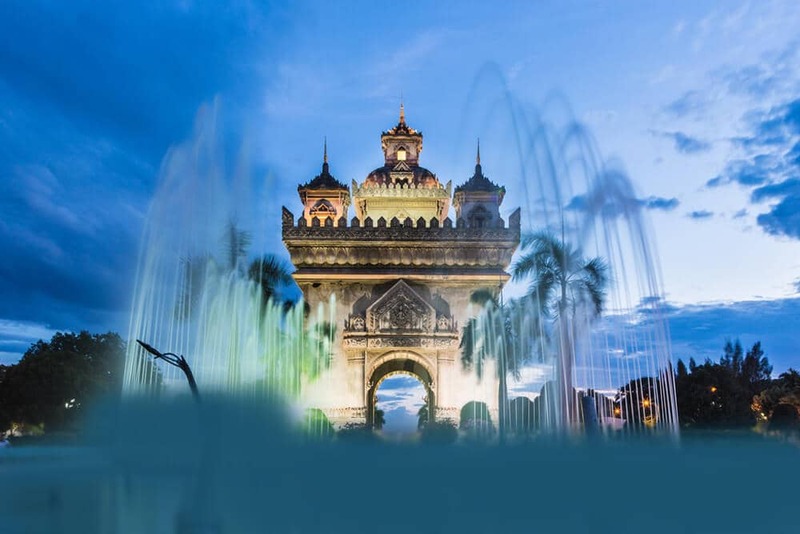 Planning to visit Laos and explore the culture? Want to study Lao to expand your business? Try our online Lao language classes via Skype from native tutors and learn Lao anytime anywhere! After the country’s independence in 1954, tourism industry has grown enormously. Laos is a beautiful country with much Buddhist architecture and lush and pristine landscapes. People are friendly and courteous and will certainly appreciate your efforts to learn at least a few phrases of the Lao language. If you can learn the language you will gain a deeper understanding of the people and their culture. Also in Laos English is not widely understood outside the main shopping and tourist centres; especially in the countryside. So learning the language will help you to explore the real beauty of the country. You will make local friends much more quickly too. So if you have made up your mind to learn Lao then you are at the right place. Join Our Online Lao Language course and learn Lao with Native tutors from the comfort of your home at a time that best suits your lifestyle. To avail our interactive classes all you need is internet access, Skype and a headset. You can get personalised lessons tailored to meet your learning needs and goals. All our tutors are native professionals who will assist you not only in learning the basics of Lao but also will help you converse fluently in the language. You also enjoy utmost flexibility as you can schedule the lessons whenever you want wherever you want. Our classes are very affordable since we provide all our Lao language learning services through the internet. So we don’t have to pay for any overheads and we make sure to pass on the savings to our valued customers. So what are you waiting for? Join our Lao Online Course through Skype now and learn Lao in a quick and inexpensive way! You can now take Lao classes one-to-one using Skype with a tutor of your choice. Our Lao lessons are custom, effective, comfortable, and fun. Pick a tutor NOW! Choose anything specific. Whether it is conversational Lao classes, business Lao lessons or just learning how to greet and impress a loved one. We can help you with them all.